The Peabody Museum of Natural History in New Haven approached Design for America with a question: how do we make our visitor experience more engaging? During our initial research, we noticed that one of the most prominent categories of visitors was "family with pre-verbal and early verbal children." 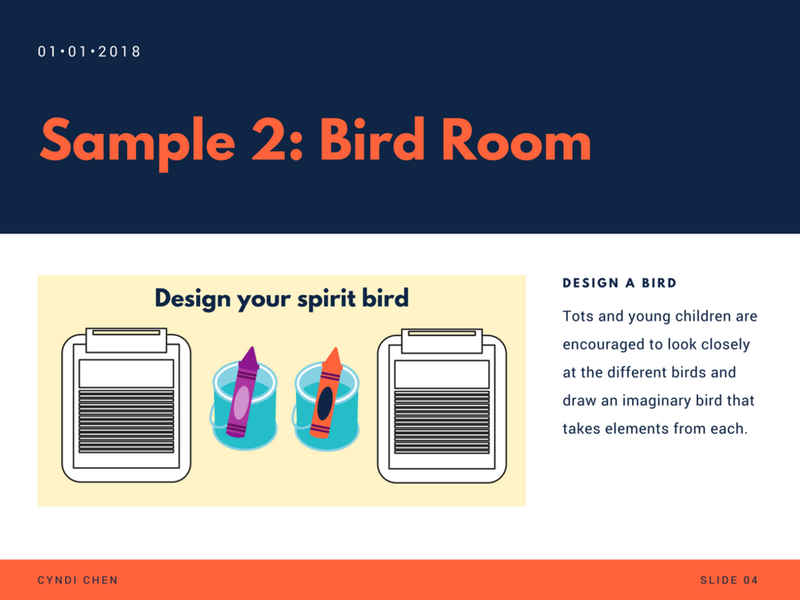 Often these were parents or grandparents who had loved museums growing up (several enthusiastically shared their favorite museums in their hometowns) and wanted to instill that love of experiential learning in the kids they raised. One of our team's observations was that the information plaques weren't well designed for people to read. In the dinosaur room, by far the most popular room for visitors, the plaques with the most information were knee-level, so adults and teenagers had to bend over to read the text. 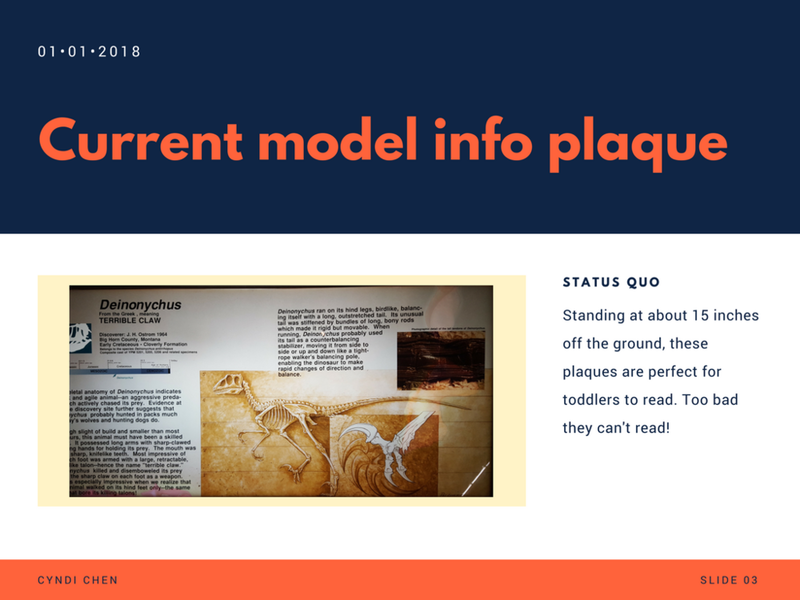 Toddlers, on the other hand, could often be seen engaging with and pointing at the pictures on the info plaques, but were too young to understand the text. 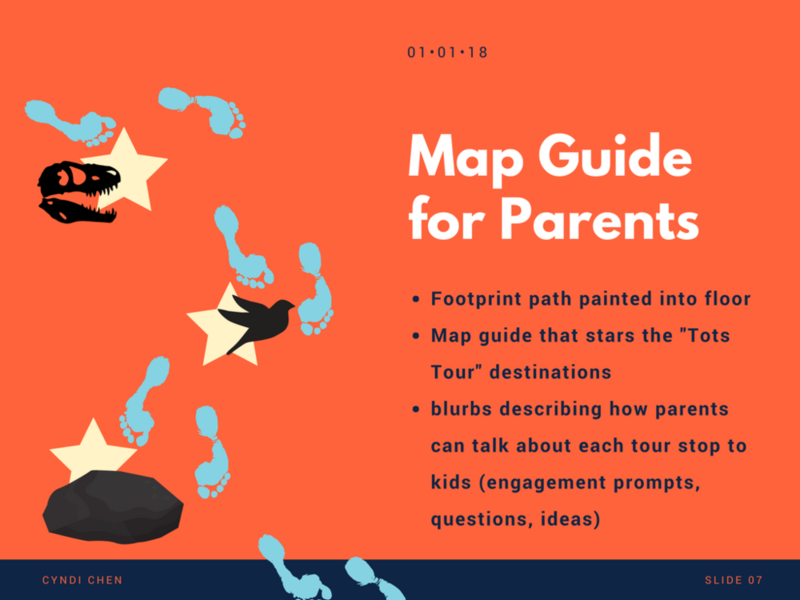 I drew from these insights to draft a potential self-guided "tour" for families with toddlers. Click through the photos to get an idea of how we can optimize the museum experience for these families with young children!